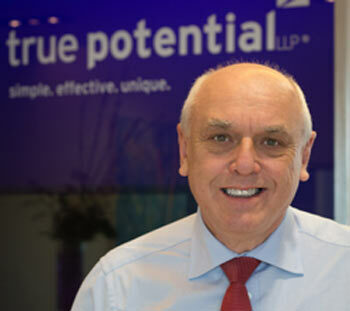 Financial services group True Potential LLP has appointed Laurie Edmans CBE as non-executive director to help the firm continue its rapid growth. True Potential is one of the fastest growing and most innovative financial services groups in the UK. The group provides technology and business support services to over 22 per cent of the UK financial adviser market and financial advisory services for private individuals. Laurie Edmans CBE brings with him a wealth of experience to True Potential. Among his current positions, Laurie is chairman of Marine & General Mutual and of Trinity Mirror Pension Plan Trustees, and a non-executive director of the Money Advice Service. He is also a Trustee of NEST (the National Employment Savings Trust) where he will be standing down in late March at the expiry of his term of office. Previously, he was chairman of the Safe Home Income Plans Group and chairman of peer-to-peer banking organisation, Funding Circle Ltd. In total, Laurie has been appointed to four public sector boards, including more than eight years on the board of the UK Pensions Regulator. He was appointed CBE for services to pensions reform in 2006. True Potential includes True Potential Investments LLP, True Potential Wealth Management LLP, and True Potential Adviser Services LLP. In January 2014, the group unveiled another strong rise in annual profits with net profit up 47 per cent to £5.3million from a turnover of £27.5million in 2013.